Wednesday Commissioner Heiskell signed a contract with Puckett EMS, selling them all of Walker County’s ambulances, a fire station, and a training center for $1.35 million. All of the county’s EMT’s will transfer to Puckett within the next month. The county will pay Puckett about a quarter million every year (for at least the next five) to provide ambulances to residents, who will also have to pay for each ride – but at a lesser rate than the county has charged patients for the last six years. 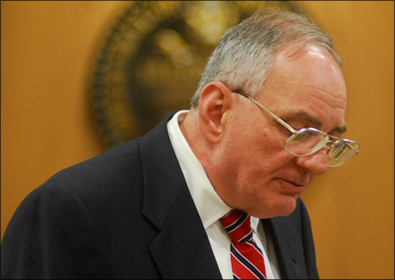 WQCH Radio, 10/02/15: “PUCKETT HAS AGREED TO PAY WALKER COUNTY 1.35-MILLION DOLLARS, ACCORDING TO HEISKELL, AND THEY WILL REQUIRE THAT THE COUNTY PAY A YEARLY SUPPLEMENT OF 250-THOUSAND DOLLARS. PUCKETT HAS ALSO AGREED TO BUY WALKER COUNTY’S HAZ-MAT BUILDING AND WILL OPEN A TRAINING CENTER AT THE FIRE AND EMS HEADQUARTERS ON ALEX DRIVE. “‘DADE COUNTY HIGHLY RECOMMENDED PUCKETT,’ HEISKELL SAID. ‘THEY HAVE BEEN VERY PLEASED WITH THE SERVICE. 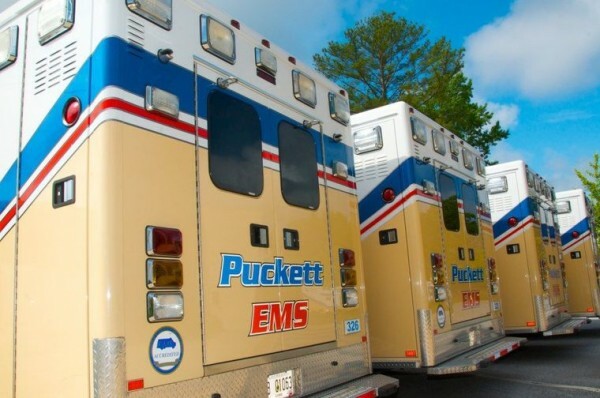 PUCKETT IS THE NUMBER-ONE AMBULANCE PROVIDER IN THE STATE OF GEORGIA’, SHE SAID. “HEISKELL SAID SHE IS ALSO HAPPY FOR THE COUNTY’S EMS EMPLOYEES AS PUCKETT WILL PAY THEM MORE AND GIVE THEM BETTER BENEFITS THAN THE COUNTY WAS ABLE TO AFFORD. FOR CONSUMERS, HEISKELL SAID THAT PUCKETT’S BASE-RATE FOR AMBULANCE TRANSPORT IS HALF WHAT THE COUNTY HAS BEEN CHARGING. The concern is that Puckett will only operate four ambulances, where the county has been using five. But since Puckett has ambulances in Dade too, they’re expected to have one from Dade come over if the Walker ambuances are busy. It still seems backwards to cut a fine ambulance service to save money when the county is wasting money like mad on other things we don’t need, but if an ambulance deal had to be made this is the best option out there. 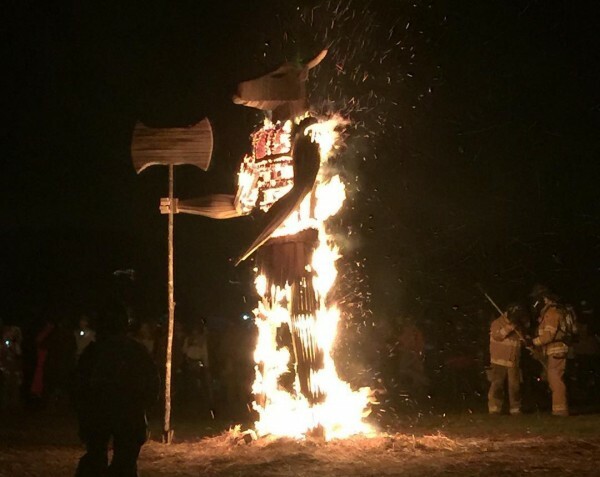 What were the noises and fires reported on Friday and (especially) Saturday night? Saturday a structure larger than the one depicted above was set aflame, causing some in the community to panic thinking a house was burning down. A deputy was dispatched to Cherokee Farms, directed to have music turned down due to community complaint, but it doesn’t seem to have made much difference. WQCH Radio, 03/05/15: “THE POLICE REPORT IS COMPLETE ON AN INJURY-ACCIDENT WEDNESDAY MORNING IN LAFAYETTE, AND ONE DRIVER HAS BEEN CHARGED WITH FAILURE TO STOP FOR A RED LIGHT. 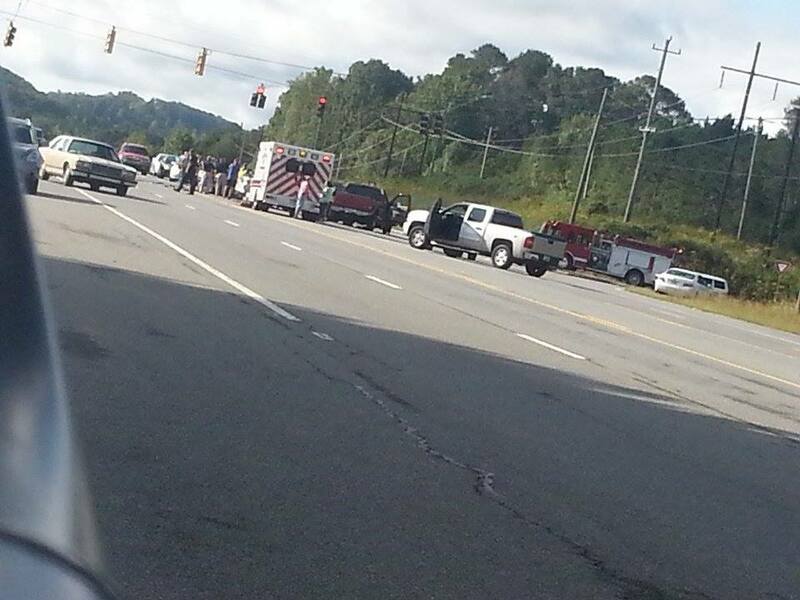 “IT HAPPENED ON THE INTERSECTION OF THE LAFAYETTE BYPASS AND WARTHEN STREET, AROUND 10 AM WEDNESDAY. “THE DRIVER OF A 2016 KIA OPTIMA WAS TRAVELING NORTHBOUND ON THE BYPASS AND MISSED STOPPING AT THE RED SIGNAL. HER CAR HIT A PICKUP, WHICH WAS CROSSING THE BYPASS FROM ROUND POND ROAD. BOTH VEHICLES THEN HIT A THIRD, STATIONARY VEHICLE, WHICH HAD STOPPED FOR THE RED LIGHT IN THE SOUTHBOUND LANE OF THE BYPASS. The driver put two people in the hospital but faces one minor ticketable charge. That’s a perk you get when your daddy is the Sheriff..
Tax offices all over Georgia are left in a bind because a vendor responsible for mailing tag renewal notices went bankrupt and didn’t send out October’s reminders. Tags can still be renewed, online or in the local office (which just moved) but drivers didn’t get notices on time and are still subject to tickets or late fees for not renewing. This article is from Macon but the problem covers every part of the state; tax commissioners in Catoosa and Chattooga have released information to the public advising the same issue. Nothing yet from Walker Tax Commissioner Carolyn Walker; she may be too busy picking out furniture for her fancy new office in Rock Spring. 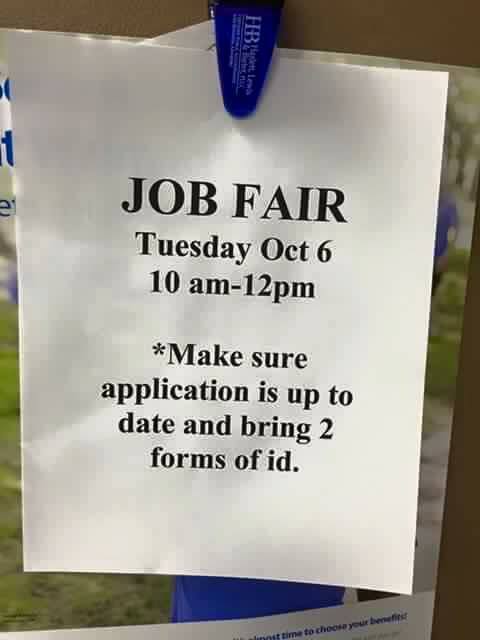 Job fair tomorrow at Walmart. That’s the fourth hiring event/job expansion announced here in less than a week. Also hiring: Roper, Shaw, Four Star Food, and Bojangles. Married couple with a 15-year age difference sent to jail for growing pot. WQCH Radio, 09/29/15: “COUPLE FROM THE NAOMI AREA HAVE BEEN CHARGED WITH MANUFACTURING MARIJUANA, ACCORDING TO THE DRUG TASK FORCE. “24 YEAR OLD CODY JACOB CORDELL AND 39 YEAR OLD BRANDY LOUISE CORDELL WERE CAUGHT AT THEIR WESLEY ROAD RESIDENCE WITH 12 MARIJUANA PLANTS GROWING OUTSIDE. MORE POT WAS BEING PROCESSED INSIDE THE HOME, ACCORDING TO THE TASK FORCE. WESLEY ROAD IS EAST OF LAFAYETTE OFF HIGHWAY 136. 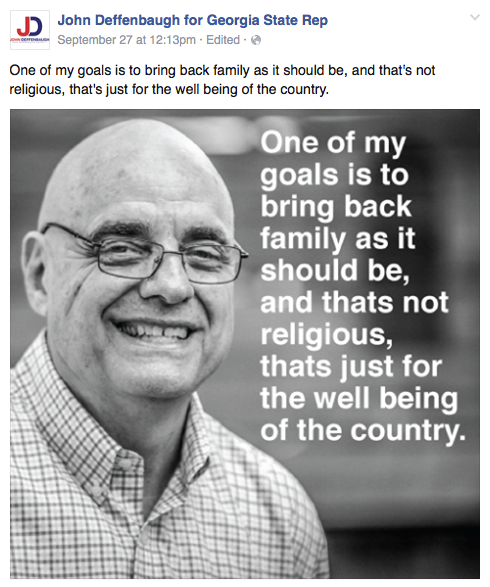 John Deffenbaugh, who misrepresents Dade and the west side of Walker County in Atlanta, has in recent weeks been posting professionally-produced nonsense like this on his Facebook page. Empty platitudes that don’t give a single clue to his actual plans, policies, or goals in office. If you can figure out what this one ACTUALLY means, you’re doing better than we are. During the last two years in office, Deffenbaugh has proposed or co-sponsored a total of TEN pieces of legislation, of which only five passed. All five of those were resolutions naming bridges after individuals or recognizing the contributions of institutions like the Georgia Naval Reserve and the Slosheye Trail Big Pig Jig of Vienna. He’s all sizzle and no steak. Don’t be fooled by feel-good insubstantial gobble goop when you vote next year. Walmart’s LaFayette “loss prevention” security team continues to excel with three more shoplifting arrests last Tuesday. Tonya Hunter Dixon and Elizabeth Michelle Hunter jailed after allegedly hiding merchandise in a diaper bag and attempting to walk out of the store without paying. Joshua Randall Allmon was charged for trying to return a tool set he didn’t buy, reportedly saying he needed gas money. 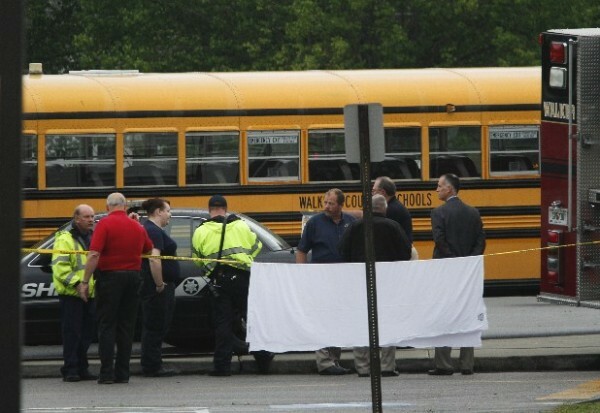 Joel Hitchcox was behind the wheel of a Walker County bus on that fateful day last year when Zackery Bryant was run over and killed at Chattanooga Valley Elementary. Despite being cleared by investigators who ruled the death accidental and unavoidable, Hitchcox no longer works for the school system. He blames school leaders for making him a scapegoat in the accident and wants a formal apology from the school board and superintendent. They say he was treated fairly and there’s no reason to apologize. Pro tip: When driving on suspended license, don’t drive in a manner that attracts police attention. WQCH Radio, 10/03/15: “AFTER OBSERVING SOME DANGEROUS DRIVING AT 1:30 IN THE MORNING SATURDAY [week ago], LAFAYETTE POLICE OBTAINED WARRANTS TO ARREST THE SUSPECT THEY BELIEVE WAS RESPONSIBLE. “A CHEVY CAPRICE WAS SPOTTING ON CHATTANOOGA STREET, TRAVELING AT A HIGH RATE OF SPEED. AS THE VEHICLE MADE A RIGHT TURN ONTO HENDERSON, IT WENT SIDEWAYS IN THE INTERSECTION AND NEARLY DID A ‘360 SPIN’. POLICE PURSUED AND SAW THE CAR TURN IN AND TRAVEL BEHIND THE HOUSE AT 605 CULBERSON. THE DRIVER GOT OUT AND RAN. 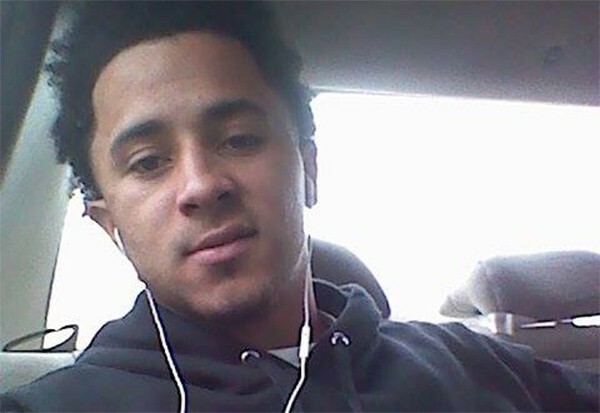 “FRIENDS IDENTIFIED THE MAN AS 20 YEAR OLD ZARIS NEAL, WHO LIVES AT THAT ADDRESS. HE HAD BORROWED THE CAR, BUT DISPATCH INFORMED OFFICERS THAT HIS LICENSE WAS SUSPENDED FOR PREVIOUS TRAFFIC OFFENSES. Family Crisis Center will be offering free self defense classes during October. Two-hour classes will be taught in Walker, Dade, Chattooga, and Catoosa during the next few weeks. 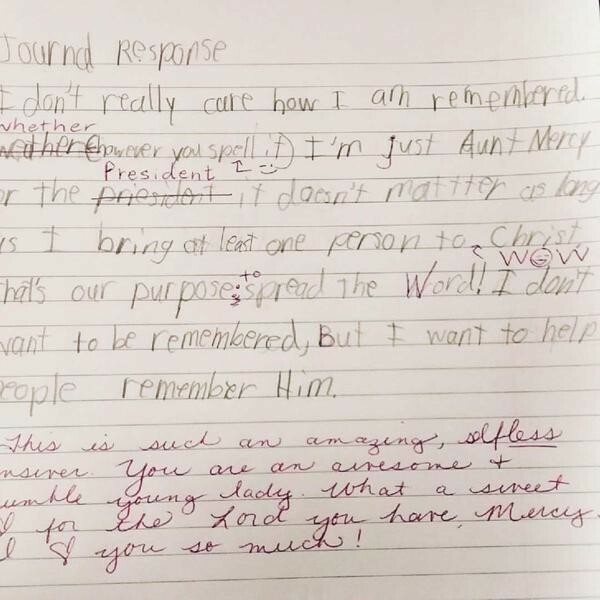 Even if you don’t agree with the child’s Christian beliefs, we all should take the this humble approach. A lawyer for Howard Hawk Willis, who sits on death row in Tennessee, says his confession of killing two Chickamuaga teens 13 years ago should be thrown out of court. She argues that his ex-wife, who heard the confession, was also a state employee who shouldn’t have questioned the killer without his attorney present. 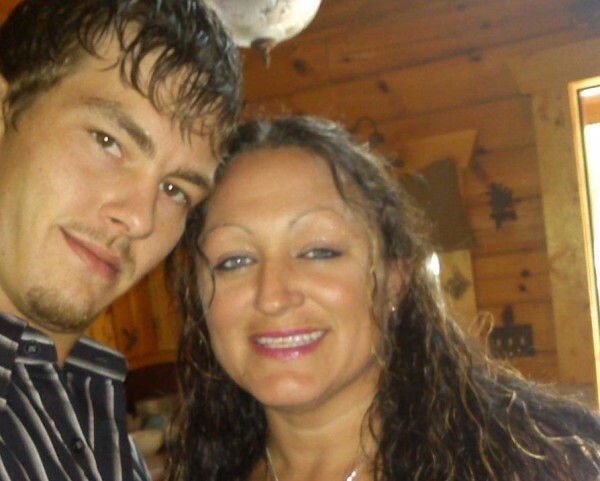 Willis was convicted of murdering young newlyweds Adam and Samantha Chrismer in 2002. His previous appeal was rejected in March of this year. Five Star Food Service of Chattanooga, which began in Dalton, is now one of the country’s top vending machine/food service operators. 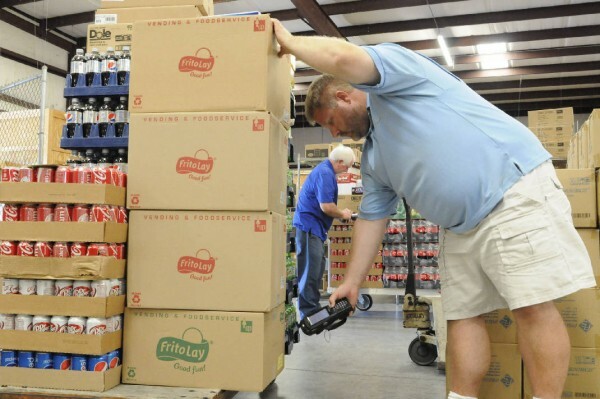 Company operates vending machines and work-site dining facilities all over the Southeast. One of its main food prep centers is in LaFayette, the former Restaurant Enterprises business bought out in July 2012. “At the company’s culinary center in Lafayette, Ga., some 50 employees process and package nearly 5 million food items a year. Five Star produces roughly 350,000 sausage biscuits a year at the Lafayette center. About 80 percent of the food Five Star sells to its customers is made fresh in Lafayette. “Every day, 80 cases of turkey are brought to the company’s freezer and later processed into sandwiches that are distributed to Five Star markets and machines across the South on refrigerated trucks. “‘We also make everything from sandwich wraps, hamburgers and hot dogs to salads, parfaits and desserts,’ McCall said. Too bad the Ledbetters sold out. It was locally owned and operated, now it’s just another out of state company with a local plant. A Marietta HVAC business has been ordered by the state to shut down and pay $1.3 million in fines after violating GA’s Fair Business Practices Act over 250 times. Attorney General Olens’ office says Mechanic’s Heating & Air Conditioning posted fake reviews of itself online, then set up 62 Web sites just to harass former customers who complained to regulators or the BBB. If they’d put that kind of effort into actually doing good work, they’d still be in business. 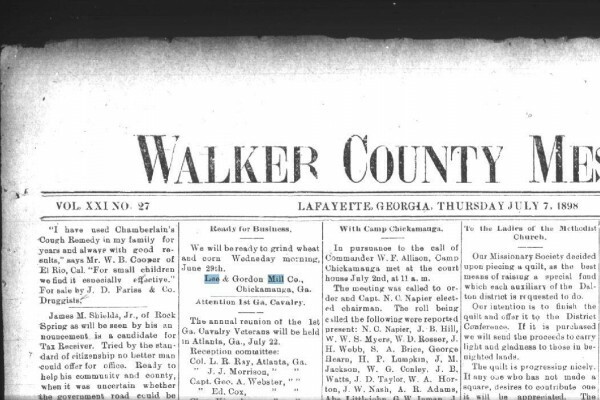 Thanks to contributions from a Chattanooga business owner, microfilm of the Walker County Messenger from 1880 to 1965 is now digitized and searchable at LaFayette library. Total cost to the library so far? Under $500. Value to the community’s history? Priceless. If you’ve ever tried to find something in an old paper just by looking through indexes and the old microfilms, you can appreciate the difference this makes. It’s basically Googled now vs. having to look line by line through 85 years of weekly and bi-weekly papers. The files aren’t online as of yet, but they are accessible to anyone visiting the library in person. 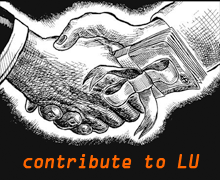 An internet version may come in the future but would require more financial support. This happened because of Sam Hall of DeepZoom Chattanooga, whose father and grandfather owned and published the Messenger back in the day. He’s worked with a multitude of people behind the scenes to make this happen, like David Moon of Picnooga. Considerable credit to the library system, too, for a) having the microfilms to begin with b) letting Sam digitize them and c) hosting the finished results for public use. The library ALSO has the original archive books of newspapers, the actual print papers, from the 1880’s into the 2010’s. Those aren’t available to the public because they’re fragile. Hopefully in the future we’ll see those scanned (higher quality than microfilm) too, and preserved somewhere permanently. But that also takes money. A few years ago those were at risk of going to the dump until somebody else intervened to save them. What would we do, and what would happen to our history, without libraries? Small craft brewers in Georgia are threatening to leave the state after the Department of Revenue announced they won’t be allowed to sell samples of their products directly to brewery visitors. The state slightly relaxed laws against craft brewing earlier in the year, but the DOR’s decision takes back most of the freedom they were given. All this is driven by large beer companies (and beer distributors) that don’t want competition in Georgia and use the government to keep it out. Political ethics in action.